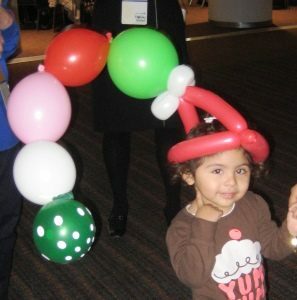 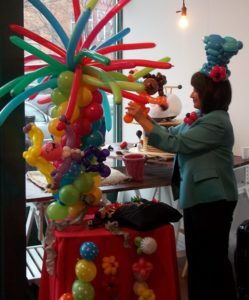 Balloons add fun, color and whimsy! 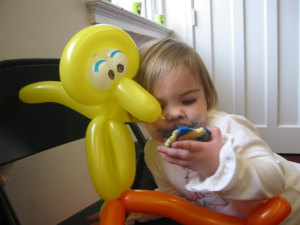 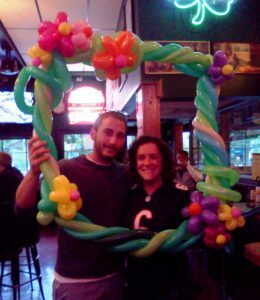 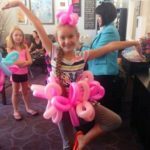 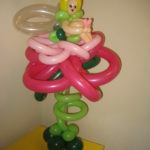 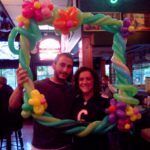 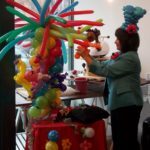 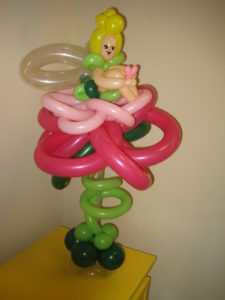 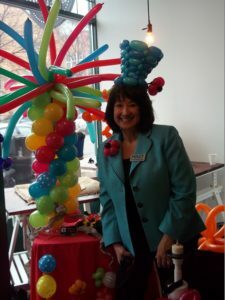 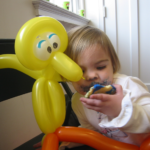 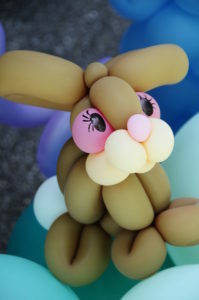 Chicago balloon artist Holly Nagel creates custom balloon art entertainment for all ages. 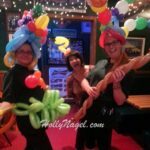 Whether you’re young or the young at heart, many have enjoyed Holly’s balloons and they’re perfect for birthdays, fairs, festivals and anytime there’s a celebration! 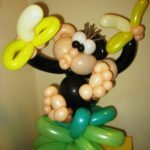 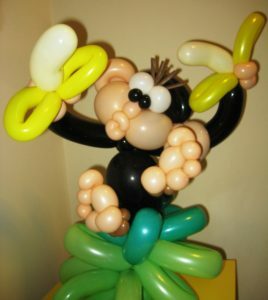 Consider a COMBO: Balloon Art (45min) + Let’s Get Silly! stories (15min) = 1 Hour of FUN! 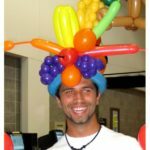 Fun hats are a favorite since they leave hands free, but balloon designs can range from the simple weenie-dogs-n-swords to the more detailed characters. 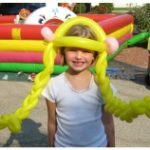 Events customized for you and your theme! 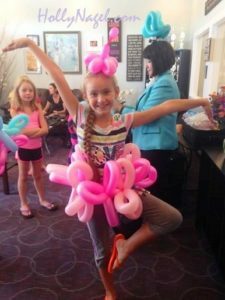 Ready to Twist & Twirl! 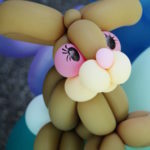 Holly ready to start creating! 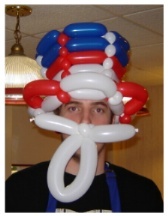 Hooray for the red white & blue! 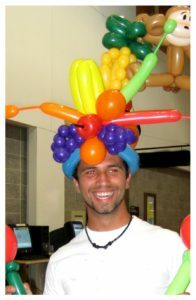 Cha Cha with a colorful fruit hat! 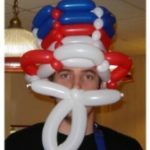 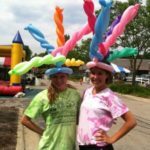 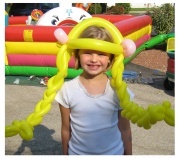 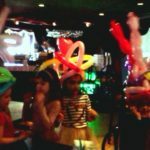 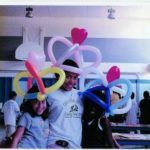 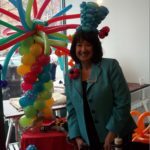 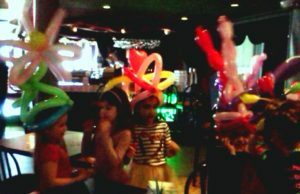 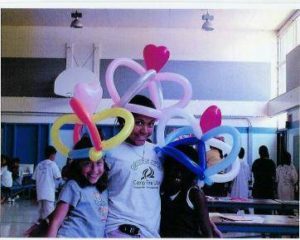 Big Balloon hats by Chicago balloon artist Holly Nagel are FUN! 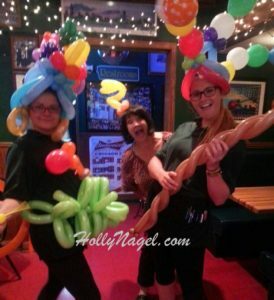 Uh-oh, a Holly photo bomb!